The 2002 Midterm elections - Republicans take the House and the Senate and suddenly become big-hearted. 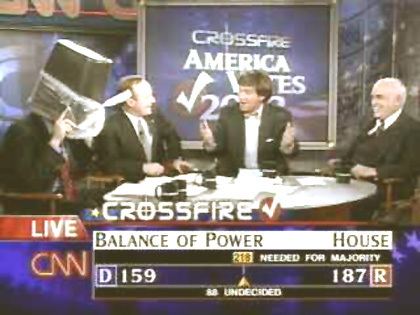 <strong>Election Night 2002 - James Carville exercising his editorial comment</strong>. Lest we all forget, it was a scant 8 years ago the Republican party kept control of the House and took control of the Senate during the mid-term elections of 2002. So we had a Republican President and a Republican majority in the House and Senate - something of a mandate, wouldn't you say?